Veteran Member of Knesset debates in Arabic with anti-Israel tour guide. 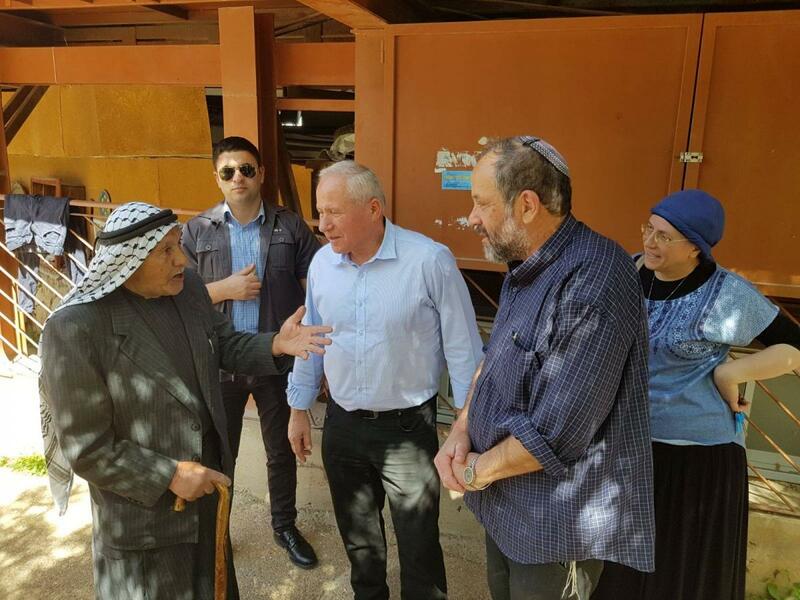 Avi Dichter, Chairman of the Foreign Affairs and Defense Committee visited Hebron where he toured the historic buildings and archeological sites. On March 22, 2018, Dichter met with local residents and viewed the Tel Hevron archeological site with the newly excavated mikvah which dates back to the Second Temple era. In an ironic turn of events, Dichter and his group bumped into an Arab activist who was leading a group of tourists on a pro-Palestinian tour. Dichter conversed with the Arab tour guide in Arabic who was trying to convince the tourists that there is no Jewish history in Hebron. Dichter also visited the Tomb of Machpela, the towering Herodian complex that covers the Cave of the Patriarchs and Matriarchs. At the Avraham Avinu Synagogue, he viewed the Torah scrolls that date back to the Spanish Inquisition. Dichter met with Hebron representatives and Israel Defense Force soldiers stationed in the city. He stated, "when you touch the history of 3,500 years, when you come to the graves of our forefathers, Abraham and Isaac and Jacob and their wives, you really feel that you are reaching the most rooted spot that you can imagine. We are here because this is the Land of Israel, the inheritance of our forefathers. We understand where we came from and we know very well where we're going." The son of Holocaust survivors, Dichter served for years as head of the Shin Bet, Israel secret service before being voted into public office.